dizzy with words: "They're such beautiful shirts!" Let's get one thing straight: I am not a fashionista. Sure, I have my own personal style, but it usually involves a pair of jeans. Nothing fancy. But ever since coming to Spain, my style has changed. Not a lot, but enough to be noticeable. Our Study Abroad program suggested it: "Dress nicer," they said. "You'll blend in better. No sneakers, no sweatpants, no t-shirts." 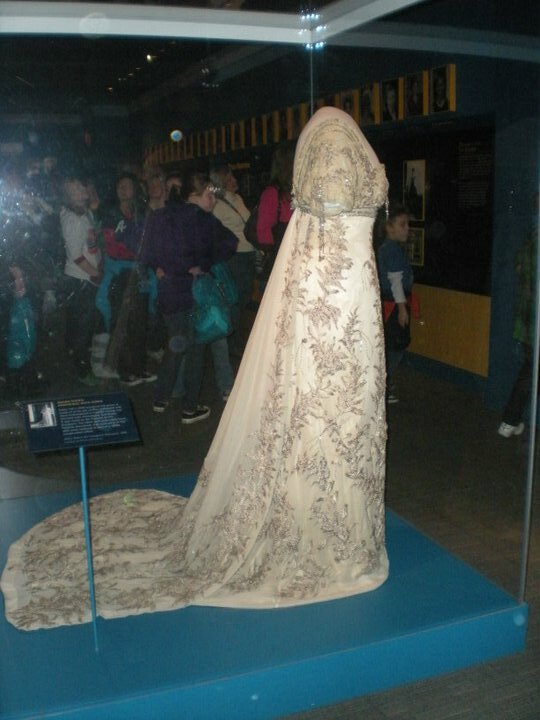 Gown of First Lady Helen Taft. So early 1900s. Writing about clothes is fun, at least for me. However, there is a line. I firmly believe that descriptions of clothes should be used for a greater purpose, not only to tell the reader what a character is wearing. Luckily, most writers do this unconsciously: the stereotypical popular crowd in a YA contemporary is almost always in miniskirts, while the academically inclined protagonist opts for Target jeans. What does that say about them? A girl who only wears baggy clothes might be self-conscious about her weight. A boy in Nantucket red pants could easily be a frat brother. The Hunger Games is a great example of fashion for a purpose. There isn't much description of Katniss's everyday clothes, or even the clothes she wears while in the arena, but we all remember her clothes that make a statement and give a sense of her character: the coal costumes that catch fire, the dress with the flames, the Mockingjay wedding gown. Ok, so not too difficult. What's a little trickier is avoiding over-description. I know people who go online shopping for their characters. Great! It helps them get a better mental picture of their characters, and it sounds like a lot of fun. But they run the danger of wanting to describe every single detail, down to the very thread-count. That's a big no-no, because frankly, the reader doesn't care that much. If you must talk about fashion, mention it briefly, and move on. However, there is a time to linger, and that's when your PoV character is doing commentary. (Remember: even if you write in third person, you still have a PoV character). If a character is surprised by an outfit, perhaps. Or if she's jealous. Or if the clothes are new, or offensive. If a proper nineteenth-century Englishwoman travels to a country where harem pants are big, she might be a little taken aback, and therefore she'll linger on them. But don't linger too much. Otherwise the reader will think, "We get the point! Move on." Sometimes it is difficult to move on. I'm guilty. 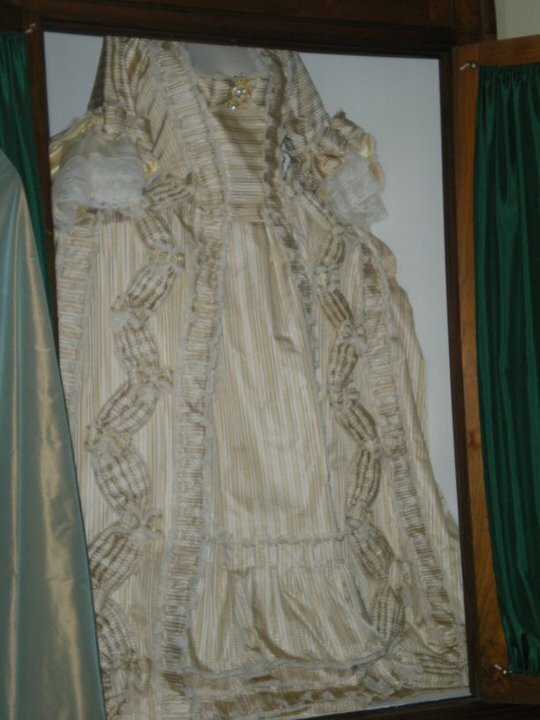 I love to write about my characters' outfits, especially since most of my work isn't contemporary, which means cool historical clothes like the ones in the photos. I also tend to set my work all over the world, so I have to be conscious of international and historical fashion. When I go to museums, I take pictures of the clothing, especially, so I can look at them for later reference. Also, the Internet is a wonderful wonderful thing. Movies can also be very helpful. Your thoughts on fashion in writing? You should put this on Dorm Room! I really don't tend to describe clothes at all, for some reason -- except, strangely, hats. Definitely an inspiration to start thinking about that a little more.